Join our Twitter Campaign on Gender Equality! We will be supporting the implementation of Gender Equality Plans (GEPs) in Research Performing Organisations (RPOs). SPEAR offers supportive structures comprised in its interconnected Community of Learning (CoL) and Community of Practice (CoP). CoL will provide learning platforms while CoP provides an arena for experience exchanges. Both these are crucial to successful and sustainable implementation of GEPs, a key instrument to improving gender equality. SPEAR’s central objective is to implement GEPs in its nine implementing RPOs. 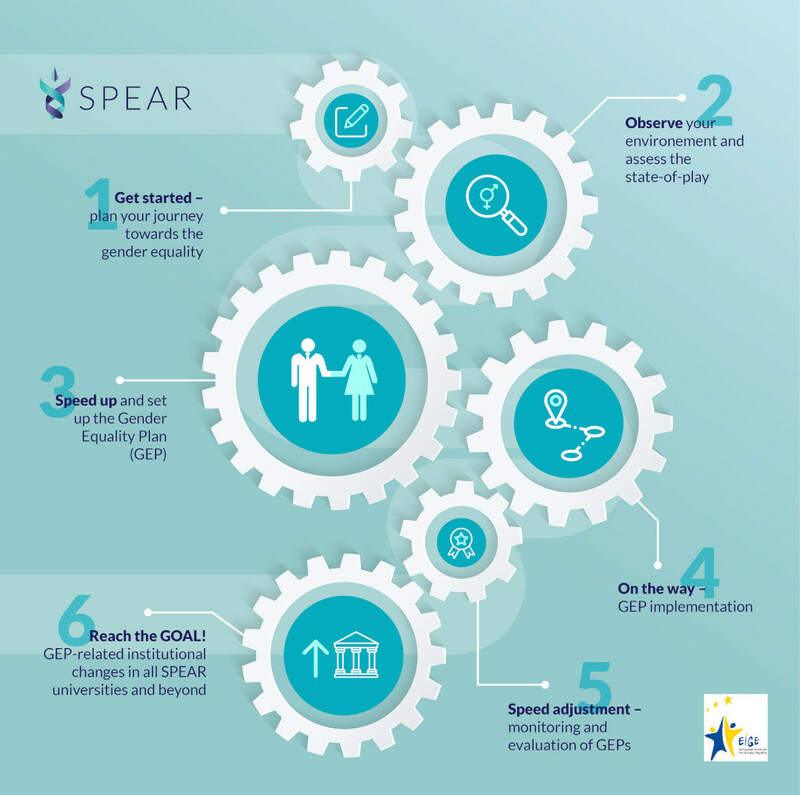 Based on a step-by-step guide to GEP implementation devised by the European Institute for Gender Equality, SPEAR follows a distinct methodological path committed to creative, open, mitigating, processual, accountable, SMART and sustainable changes (SPEAR’s COMPASS). The Twitter campaign dedicated to the upcoming International Women's Day on March 8th 2019 is now running on Twitter under the hashtag #GendeRRIng. The campaign is co-coordinated by GEECCO, ACT, SPEAR, EFFORTI, GENDERACTION, GearingRoles and Supera projects. The aim of the campaign is to share the opinions on the importance of gender equality at work or during studies in research organisations. Follow SPEAR on social networks! We launched our accounts on major social networks! Follow us to stay updated on the implementation of Gender Equality Plans in research and academia. 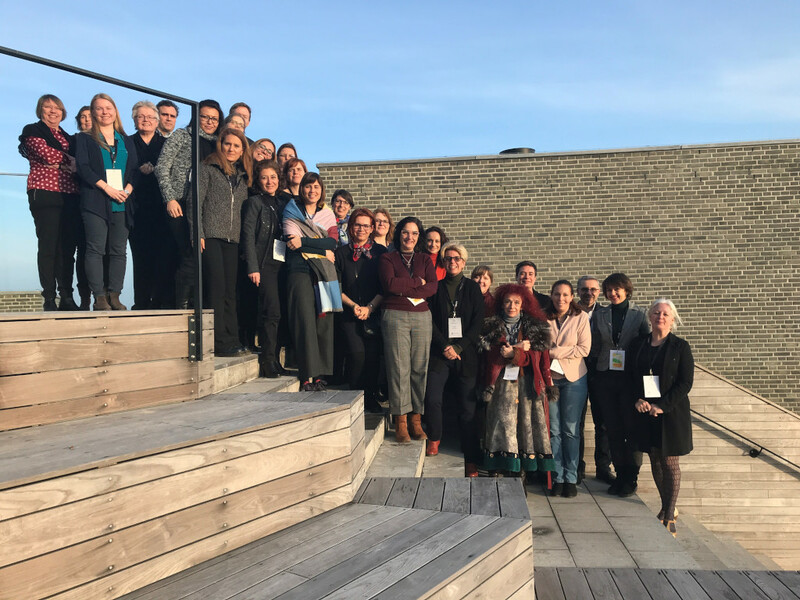 11 partners from 9 European countries will meet in Odense, Denmark between 23 and 25 January 2019 to mark the start of a four-year project supporting and implementing plans for gender equality in research and academia.